Hariyali paneer rolls are delicious wraps or roll, It is filled with veggie and paneer cubes marinated in green marination includes coriander leaves, mint leaves, green chilli, curd and later grilled. Outer layer is prepared with all purpose flour or wheat flour. Paneer rolls are great recipe for lunch box. Follow my recipe and learn how to make paneer rolls with cooking instruction and step by step with photos. Hariyali paneer roll is the variation of kati roll, kati roll is originated in kolkata and popular through out the India. Traditionally kati roll is prepared with Kati kebab, Kati means a stick and these kabab are skewer roasted and wrapped in a layered Paratha bread. Paratha dough is kneaded and stretched like a rope. Later it is roll like a coil and then flattened with a rolling pin and partially cooked in oil on tawa. These semi-cooked parathas are then kept aside until needed, at which time they’re put back on the tawa and cooked through. These roll are great recipe for your lunch box, packing these roll in lunch box is easy, they healthy and filling too. I prepared different types of rolls for my hubby lunch box, he absolutely loved them. Paneer roll also enjoy as appetiser, brunch or even as evening snacks. You can make more healthier version with wheat flour, add lots of other veggie for your kids lunch box. These rolls are easy to make, with few ingredient. You can change filling and make your own version. We start with prepare marination for hariyali paneer tikka, take handful of coriander and mint leaves blend with green chilli curd and salt. Make it more spicy and flavour full by adding ginger garlic paste, cumin powder, garam masala, chaat masala and kasoori methi. I also added gram flour to make it thick and oil in marination paste this will help marination to coat well on paneer pieces and veggie. Marinate paneer cubes, onion and capsicum and let them sit for 10 minutes. You can also marinate it over night for more flavour. Skewer panner, onion and capsicum I am grilling on tawa, you can use oven to grill it. Even you can simply fry them on pan in little oil. Now prepare dough for making outer layer of roll. Dough should be soft to get perfect soft and crispy rolls. In mixing bowl add wheat flour, all purpose flour and salt mix all of them until combine. Add water and knead a soft dough. For rolling dough dust some flour on your rolling board and roll it thin into a round shape. Partially cooked these paratha by apply little oil. 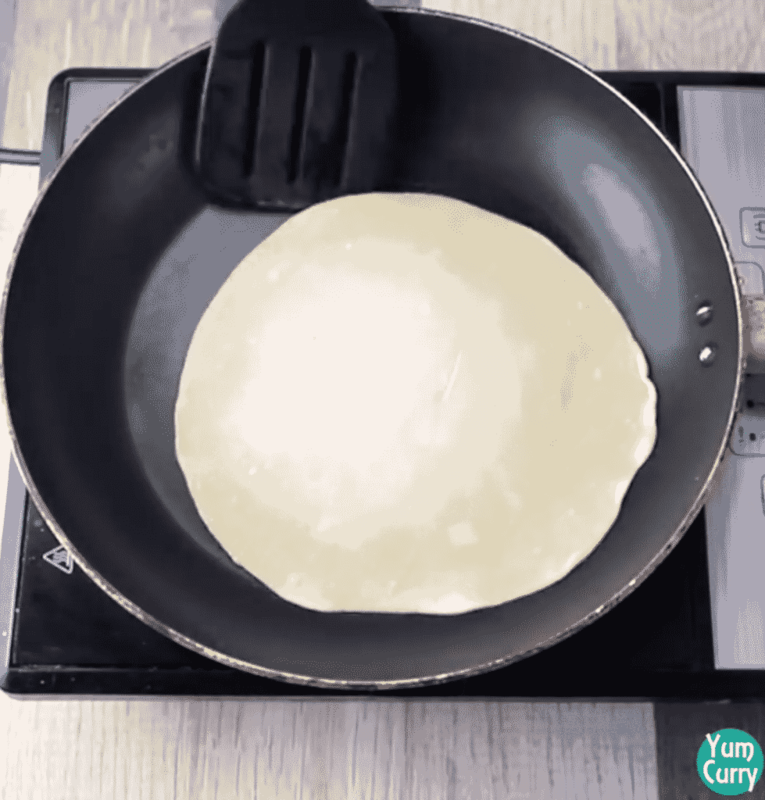 Remove and place filling to the centre of paratha, carefully roll it and again cook on tawa by applying little oil. You can marinate paneer over night. For healthier version add more vegetables and use wheat flour for outer layer. 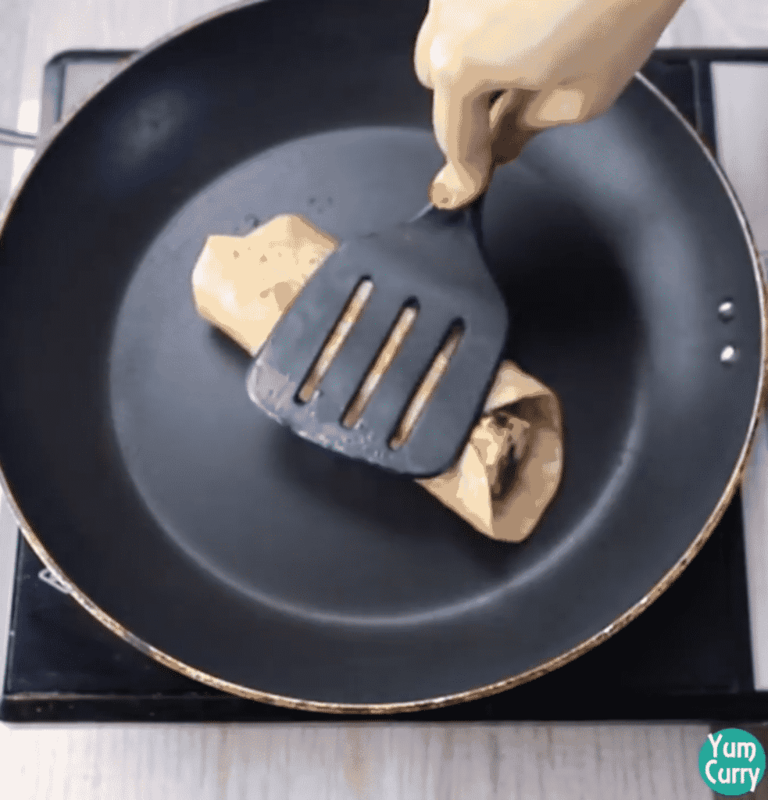 You can replace marination and prepare paneer tikka roll with same recipe. 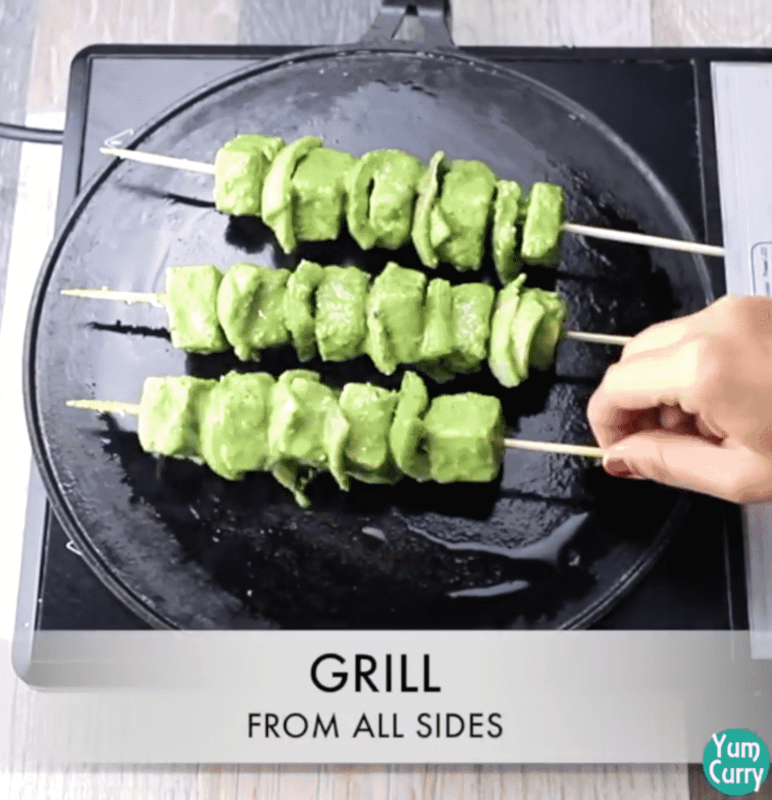 You can also grill paneer and veggie in microwave. 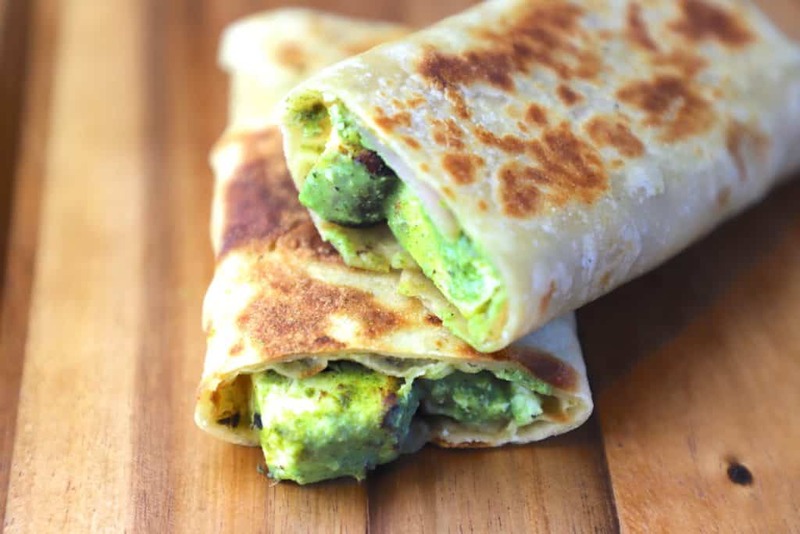 If you like green chutney in roll, spread some along with paneer hariyali tikka. 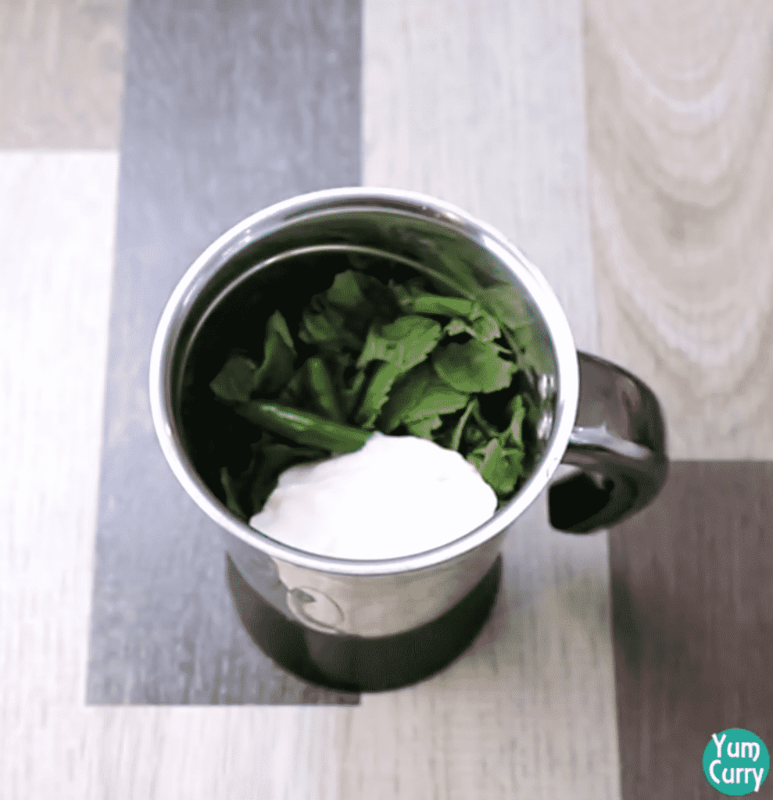 In a blender add coriander leaves, mint leaves, green chilli, salt and thick curd, blend and make a smooth paste. Transfer into a bowl, add ginger garlic paste. Add spices like cumin powder, garam masala, chaat masala and kasoori methi (dry fenugreek leaves). For make it thick add gram flour, so it can coat well to the paneer pieces. 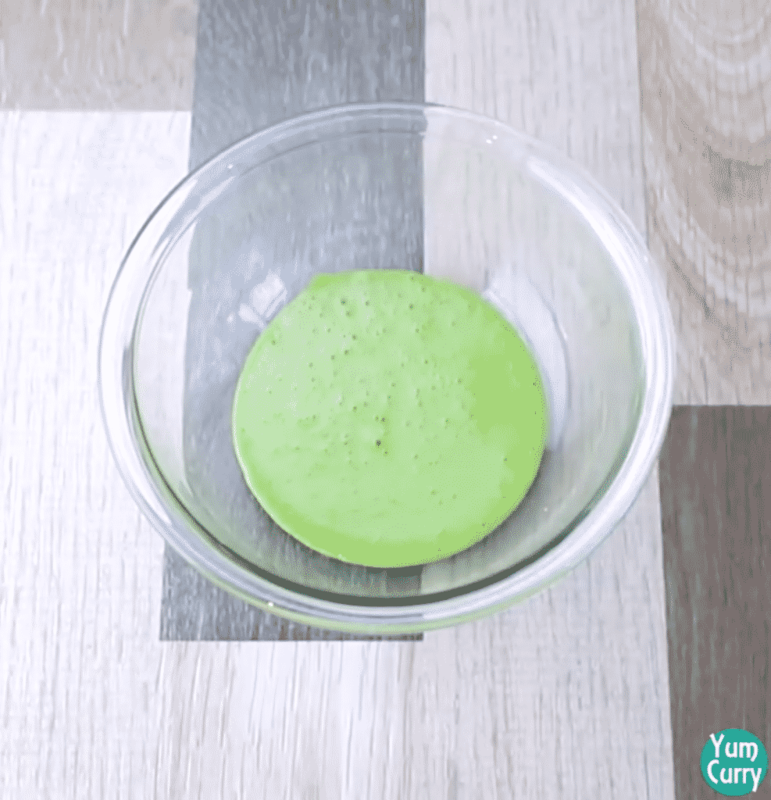 Add oil and mix all ingredient by using whisk. For filling we need paneer, onion and capsicum. Cut paneer into cubes. Roughy cut onion and capsicum into a big chunks. Add capsicum, onion and paneer cubes into marination paste. With spatula mix and generously coat marination paste. Leave it for 10 minutes. Skewer panner cubes alternating with onion and capsicum. Repeat the process with rest of the marinated paneer and veggie. Heat a flat griddle/tawa on medium heat. Apply some oil. Place skewer on the tawa let it cook, turn and cook it from all the sides. When you see golden brown spots on paneer, remove it from tawa. Remove paneer, capsicum and onion from the skewer. Keep it aside. 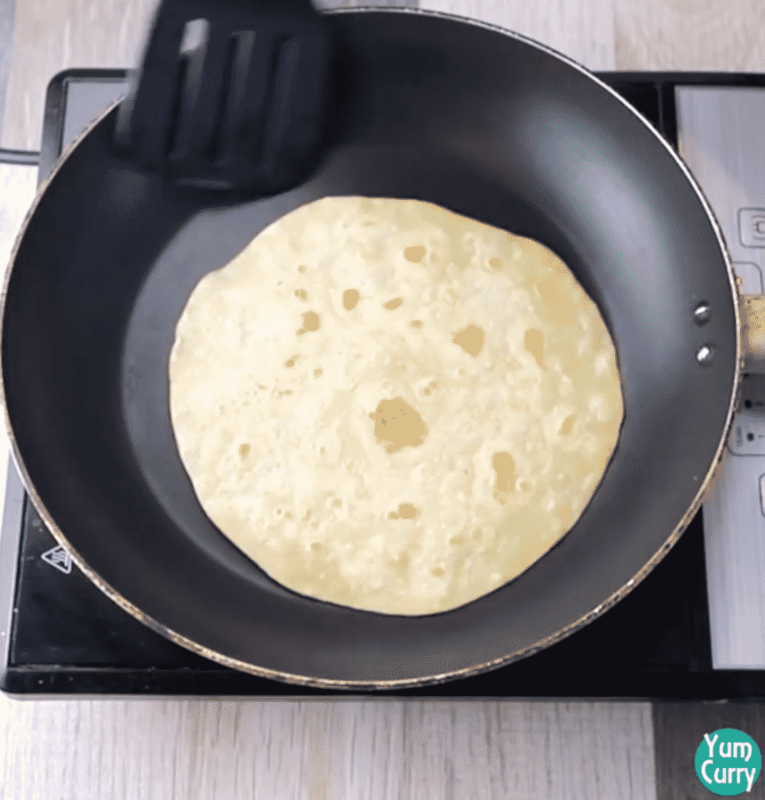 For preparing outer layer, we will make thin paratha. 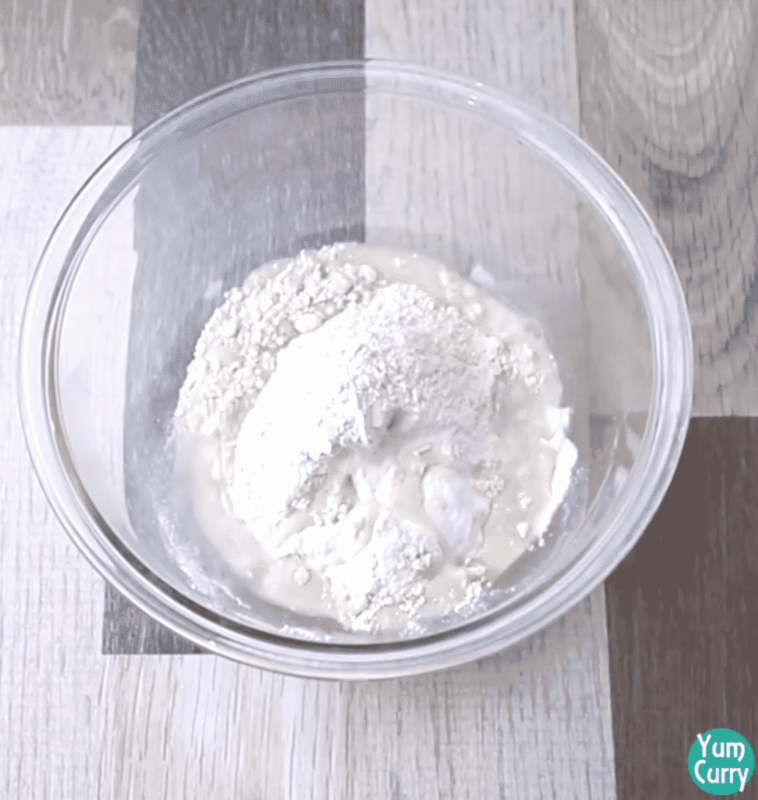 In a mixing bowl add all purpose flour, wheat flour and salt. Add water little at a time and knead soft dough. Cover and leave it for 10 minutes. Take a portion from the dough, dust some flour and start rolling it. Roll thin around 6-7 inch diameter circle. Heat a tawa or wide pan. Place rolled dough on to the hot tawa, cook it from both side. Apply some oil by using brush. Cook from both side, when you see golden brown spots remove it from heat. Place grilled panner and veggie stuffing to the centre in the of paratha and roll the paratha firmly. Again cook it for a minute, apply some oil and cook it from both side. Remove from tawa and cut little bit of upper part to. you can also wrap it in butter paper and even secure it with tooth pick. Paneer rolls are ready, you can have them as it is or serve with chutney or ketchup.